Many family storytellers aren’t interested in genealogical proof standards. They’re simply telling stories to entertain. That’s their goal. I applaud the storyteller. I love a good story. But, the family historian can’t afford to adopt this attitude. Their goal must first be accuracy and then entertainment. Otherwise, it’s not history and they’re not a family historian. So, let’s be clear, this post is not about family stories vs. genealogical proof standards. It’s about family stories and genealogical proof standards. It’s about how we take well researched family facts and use them to tell accurately entertaining stories – and if we can’t, we should make it clear we’re only repeating a family tale. I visited a “family history” website this past week that illustrates the clash. The writer warned me in the first few lines not to trust all of the things written about their family on the internet (Sites and trees other than theirs is what they had in mind.). One page later they inform us their ancestors welcomed Davy Crockett into their home in Tennessee as he made his way to the Alamo. 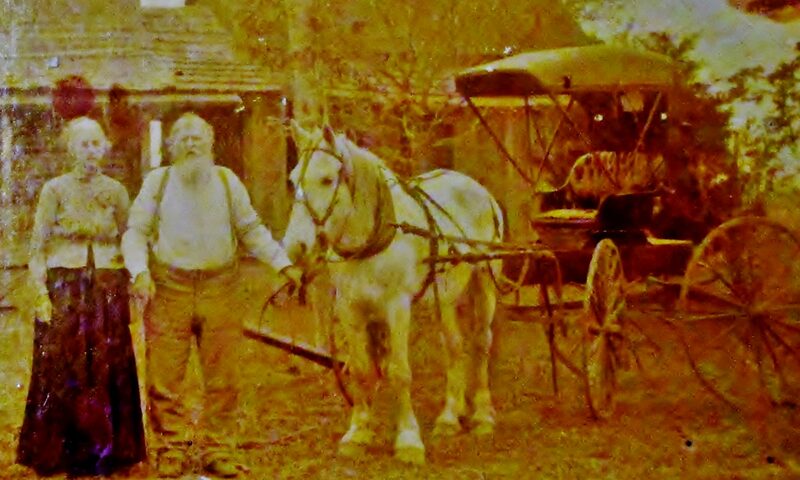 They further claim their ancestors were neighbors to another Republic of Texas history legend, Edward Burleson. [ii] This is done without any reference to one scintilla of evidence supporting such claims. Is this a problem? Yes? No? Maybe? Tell the story. It’s not a “crime”. It’s not the problem. To repeat it as historical fact or as if it were historically accurate IS a problem. Family stories are told in many forms all over the world. This isn’t a problem. If you’re telling family stories, you’re not in trouble – even if they’re speculative and knowingly or unknowingly inaccurate. However, if you tell these unsubstantiated stories as if they’re historical facts and you expect other family trees to reflect your “notion of the truth”, this is a problem. And if you’re reading and repeating these stories as “gospel truth”, you’re participating in and propagating a problem. Family stories and genealogical proof standards are not incongruous. You need not decide one or the other. You can choose both. Here are some suggestions. First, Understand the Genealogical Proof Standard. a soundly reasoned, coherently written conclusion. Each element contributes to a conclusion’s credibility in a different way, described in the table below, but all the elements are necessary to establish proof. Soundly reasoned, coherently written conclusion. This should be the standard for our family history research. Why do we tell our family stories? Inform and Encourage. Knowing our family’s history helps us find “our place”. We gain a sense of belonging and find value in our family members’ accomplishments and place in history. Inspire. We tell our family stories to inspire family members and others to greatness. “Common people” accomplishing uncommon things inspires us to rise to a greater finish. Warn. We share our family’s stories as a warning to ourselves and others. We all have “black sheep” in our families. (They’re some of my favorites.) Telling their stories in our “tales” warns us about our present path or our possible future. Someone will tell our story one day. Will it inspire or warn off a future generation? Entertain. Our stories may inform, encourage, inspire or even warn. They should also entertain. Think about it. If our goal is to inform and inspire, aren’t we more likely to accomplish this if we’re also entertaining? What makes our stories entertaining? Origination. The listener/reader needs to be drawn in and at the same time oriented to the main character and crisis in the story. It grabs, excites, introduces, informs and compels the reader/listener forward into the story. The first part of a good origination could be a sentence, paragraphs or chapters in length. For example, “James Williams was short in stature but he was guaranteed another inch or two from the hangman’s noose.” Conflict (inner or outer) in one form or another is always introduced in this first part. To have a story, something has to go wrong. The conflict escalates. Things may get better, but they eventually get worse. There may be a series of improvements but if there is, things continue to get worse after each one. It’s a roller-coaster of emotions as you learn more and care more about the main character and feel stronger angst toward his combatants. Impending doom is approaching. “…James’ attorney had located his third potential witness to alibi his client and save him from the gallows, but like the previous two, he too disappeared.” The tension builds. Resolution. The story is brought to a conclusion when the initial conflict is brought to a resolution. In the fictional stories I used to tell my children, the hero always won. But, that’s not always possible when telling historically accurate stories. Sometimes James Williams is hung. There is a wealth of information on “what makes a good story”. Google it. Read a book about it. Take a course. Practice. Practice. Practice. But never stop learning or trying to make your stories entertaining. Our improving ability to tell our stories will increase the likelihood our family histories will be known, cherished and repeated. 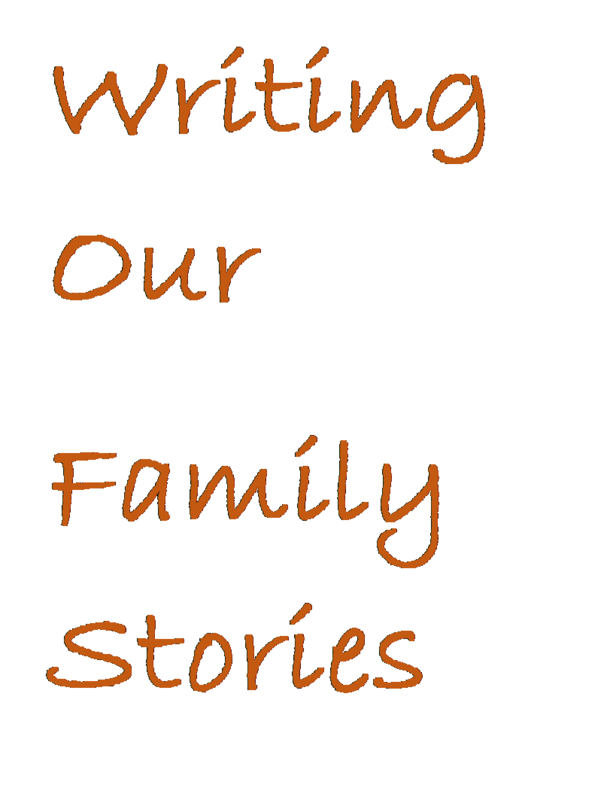 Use the comment section to share any “what makes a good story” material you know of to help family history writers. Now, Combine the two disciplines. Here’s how we transform our family research into entertaining, historical, uncompromised family stories. Use the Genealogical Proof Standards as a guideline in your family research. Have a story to tell based on historical facts demonstrated by historical, genealogical evidence. Catalog and save your documentation. Use endnotes to share your sources. Write or tell your story based on the facts you’ve uncovered and documented. Write your story using the guidelines on what makes a good story. It will take time and practice but you can do it. Make it a good story. Make it a true story. Use accurate, documented facts. If you feel you must tell your relative’s tall tale (or short tale) about your ancestor, or you just want to tell it, clearly identify it as a historically unsubstantiated tale. Writing our family’s history is fun and entertaining. To be history, it needs to be accurate. We’re not creating fictional families. We’re family historians. We’re uncovering history. We tell the rich story of our ancestors. Knowing their true stories adds richness to our lives. Telling their stories well adds richness to the lives of others. Receive free updates from this blog by clicking on the “Follow” button at the top of the page. Thanks for sharing these posts with others. Now, let’s go write those entertaining stories! [i] According to Barry Popik this phrase or a form of it is often credited to Texas folklorist J. Frank Dobie but it appeared in print as early as 1882 or six years before Dobie was born. [ii] The website mentioned in this example is real but being withheld in order to…well, protect my possible cousin! [iii] Board for Certification of Genealogist. It’s hard to believe but you don’t have to do this very long Betsy before you learn what you’ve shared with us. Thanks for the example! Previous PostPrevious Genealogy Tip #8: Power Researching!